Dedicated to Residential Letting and Property Management we are a professional and experienced business whose sole purpose is to manage your property. We are committed to providing the best possible service to landlords and tenants. Our aim is to exceed our customer's expectations with our professional and personal service. With a wealth of local knowledge, we are ideally suited for all your property rental, relocation and investment requirements. All staff are trained according to the Belvoir standards of training, which involves regular assessment and formal training for industry recognised qualifications whether it be the sales and admin staff DipRLM, or the accounts and property management team. 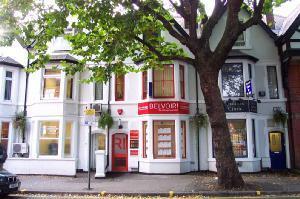 We have the largest number of dedicated letting branches of any company in Nottingham. Together we pride ourselves on having a nationally recognised brand with a local knowledge. Our current landlord and tenant testimonials clearly show that Belvoir Nottingham can be regarded as the quality letting agent of choice in Nottingham. Our product offerings range from a FREE tenant introduction service to our PREMIER managed package for the 'armchair' landlord that requires an attentive service. This is backed by our exclusive own branded insurance products available to both landlord and tenant that minimise the risks associated with renting a property.